I was trying to remember which photo it was that got me hooked on photography. I enjoyed taking pictures before I got this camera, but I was trying to pinpoint when I became really excited – what was the moment. 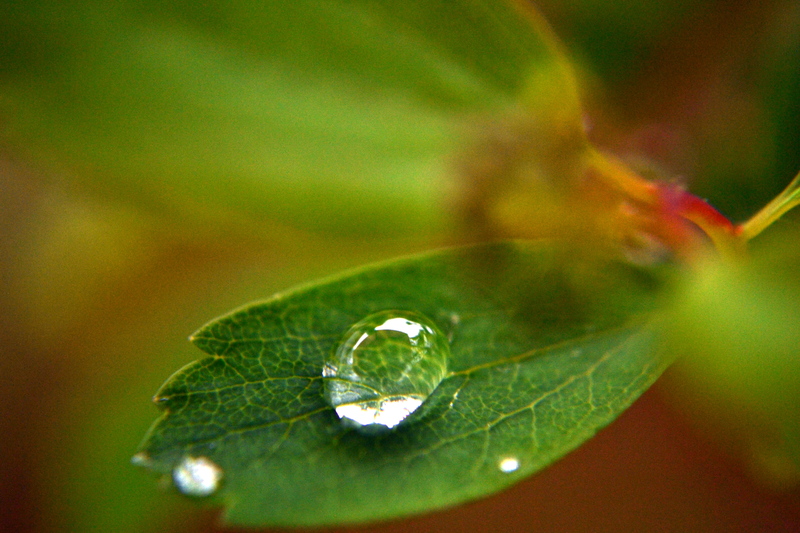 One day, shortly after I received my macro filters, I started taking shots of a potted plant on my front porch. There had been rain on and off all day so there were lots of petals with raindrops. When I came in to look on the computer, I was excited. 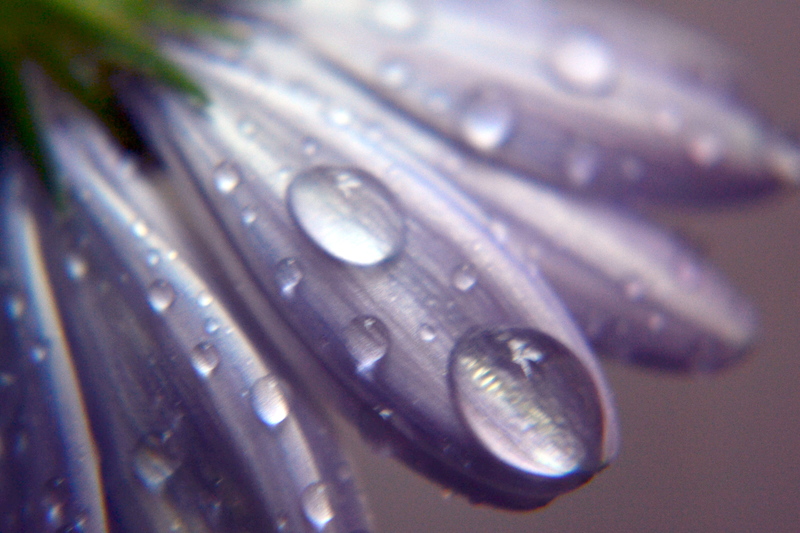 The raindrops were so detailed and they appeared to just pop off the petals. I ventured back out – with a huge umbrella as the rain was “on” again. 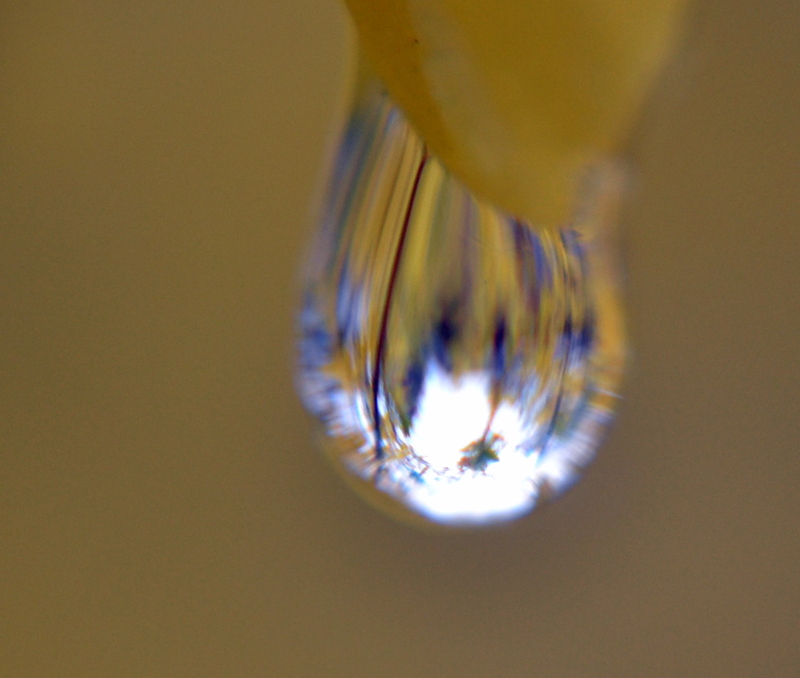 Looking at the shot, I realized that the umbrella was reflected in the raindrop. I headed back out during the next break in the rain. And that moment occurred. It’s not the most amazing photograph ever taken – not by a long shot. Rather, it was the possibility that this photograph represented. Another photo that day still resonates with me as well. 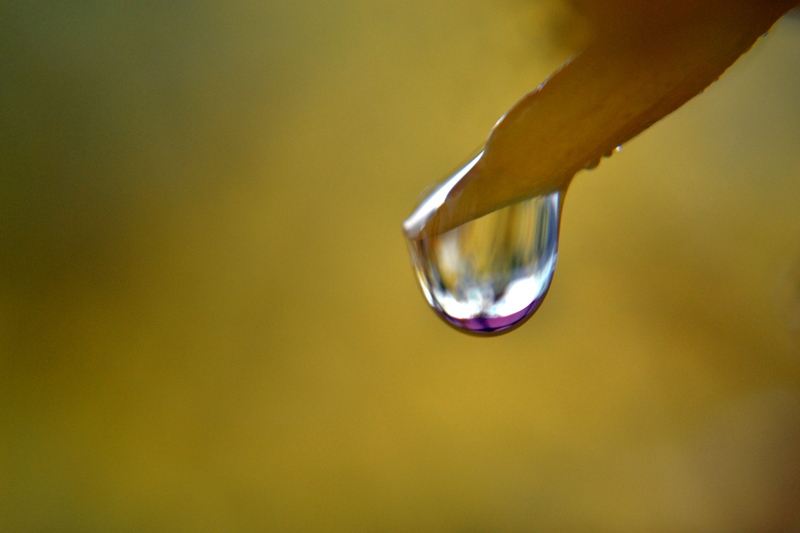 There was just something about the solitude of the raindrop. The whole day, a day back in May, was filled with moments and possibilities. I remember my moment, too. Four or five years ago, also a flower just after the rain. Nice photos!